Did you just get back from a yoga retreat? 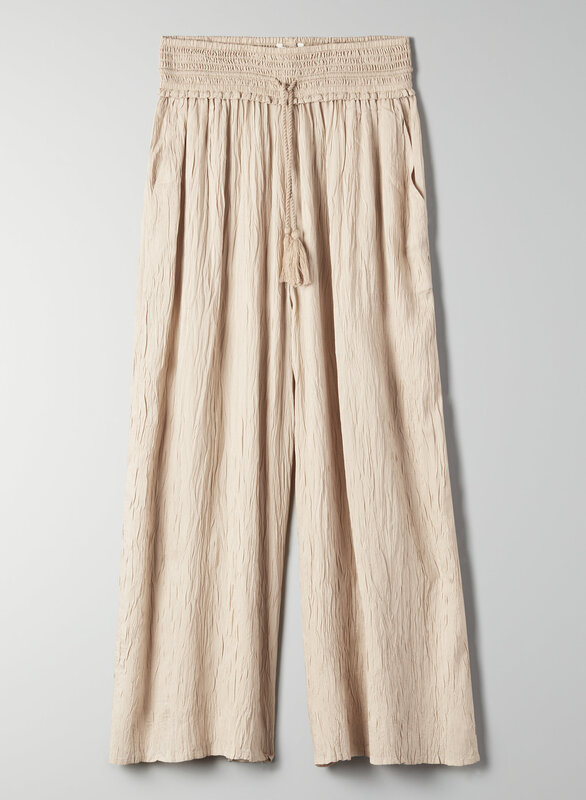 This is a flowy, wide-leg pant with a drawstring waist. It's made with an airy, fluid fabric that has a crinkled texture.